In the hands of local churches, every gift filled shoe box is a powerful tool for evangelism and discipleship, transforming the lives of children and their families around the world through the Good News of Jesus Christ! 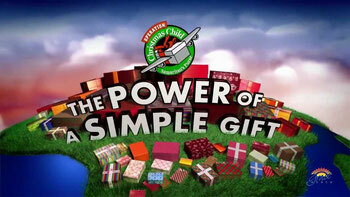 Operation Christmas Child is such a special and powerful ministry. We get to play a small part in that here at Halethorpe. Every year in October, we have a giant packing party where we fill over 1,500 shoe boxes to bless children of all ages, all over the world! We are always collecting the following items for Operation Christmas Child: small toys such as matchbox cars, bouncy balls, bracelets, small games, and happy meal toys along with shoe boxes and school supplies. For more information about this exciting ministry, please check out the video at the link below! If you have any questions about this ministry, please contact Tricia Warfield or the Church Office! Thanks to you and your donations along with your hard work, as a Church Family, we filled 1,937 shoeboxes for Operation Christmas Child this year!